Last week we had a rare opportunity to travel back in time to meet one of the world’s most beloved English storytellers of all time, Joseph Rudyard Kipling. His fiction works are some of the world’s favorites, especially his collection of short stories titled The Jungle Book. 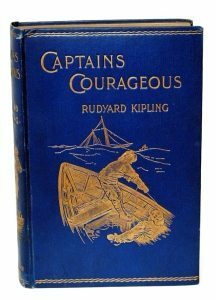 What many don’t know, however, is that Kipling spent a great deal of time in Vermont and built a house there, where he wrote many of his most famous works, including The Jungle Book and Captains Courageous. Kipling purchased 12 acres of land in Dummerston, Vermont in 1892, to build a house with his American wife. The large house was built to resemble a ship and Kipling gave it the name “Naulakha.” There are several theories as to what Kipling was referencing with this name. It translates to “Jewel Beyond Price” in Hindi and is also the name of the Naulakha Paviolion, a monument in Pakistan. With either meaning of the name, it can be argued that Kipling saw his new house in Vermont as a sacred and priceless retreat. Kipling wrote about the construction of his Vermont home in his autobiography Something of Myself. Lavish too was the long open attic, as I realised when too late. Pigeon asked me whether I would have it finished in ash or cherry. Ignorant that I was, I chose ash, and so missed a stretch of perhaps the most satisfying interior wood that is grown. Those were opulent days, when timber was nothing regarded, and the best of cabinet-work could be had for little money. 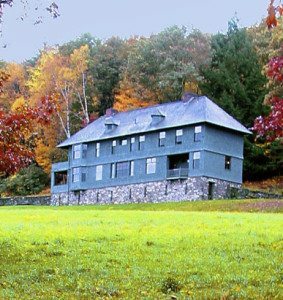 It is interesting to glimpse into the life of one of the world’s most famous novelists and see the somewhat common frustrations he had while building this beautiful home in the mountains of Vermont. The house was declared a National Historic Landmark in 1993. The Landmark Trust owns the property, which offers it for week-long vacation rentals. If you are a fan of Kipling or just looking for a fun place to stay in Vermont, we highly recommend it. Since we live nearby, we have not done this, but we did spend an evening at the house, learning about its history and listening to his “Just So” stories told to us by a wonderful Kipling impersonator. Hearing stories such as the Elephant’s Child (How the Elephant Got His Trunk) in the same room where he told these tals to his children was like stepping into a different world. If you would like to read more about Naulakha and some of Kipling’s adventures there, including a visit from author Sir Arthur Conan Doyle, there is a nice article in the New York Times entitled Where Kipling Reared Mowgli (in Vermont). While living in Vermont, Kipling wrote several famous books. He wrote Captains Courageous, a novel about the adventures of a fifteen-year-old boy who is rescued by fisherman off the coast of Newfoundland, which we have a first edition copy of. While in Vermont, Kipling also wrote both editions of The Jungle Book, a famous collection of fables that provide moral instruction. 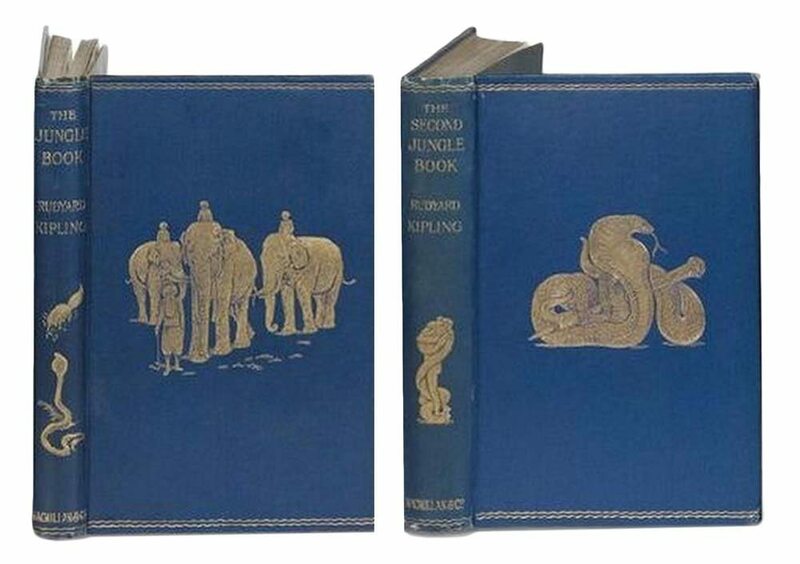 We have a first edition copy of both The Jungle Book and the Second Jungle Book. Kipling also wrote The Seven Seas in Vermont. 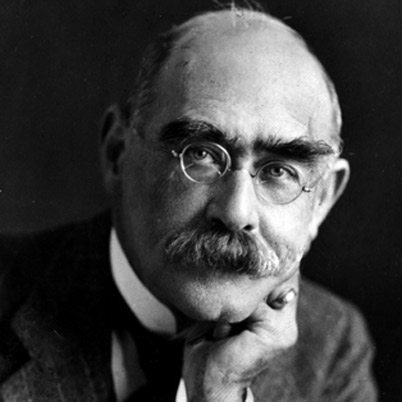 To view all of the works we have from Rudyard Kipling, click here.